I'm so excited to feature this Fruit Cookie Pizza Molly at CakeFYI create for us!! Isn't it gorgeous?! Looking for the perfect summer dessert for your upcoming Memorial Day or 4th of July celebrations? 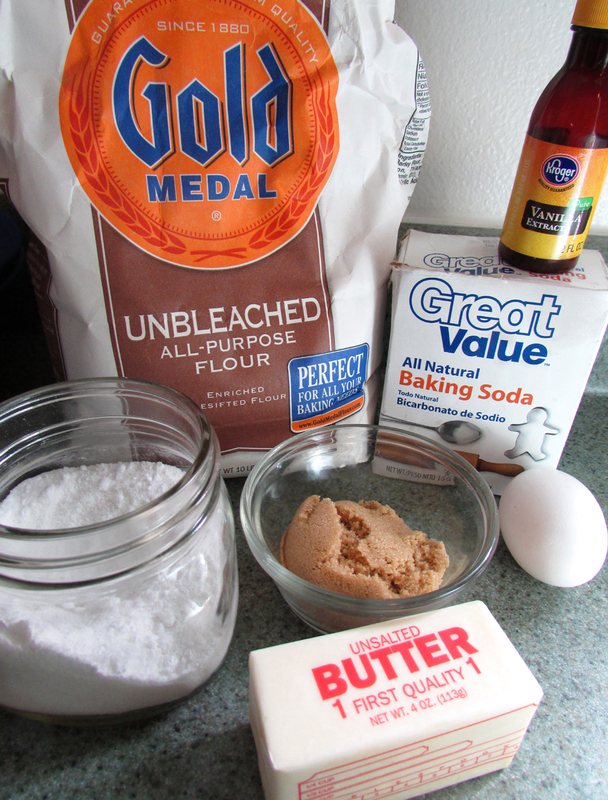 Then this is the recipe for you! 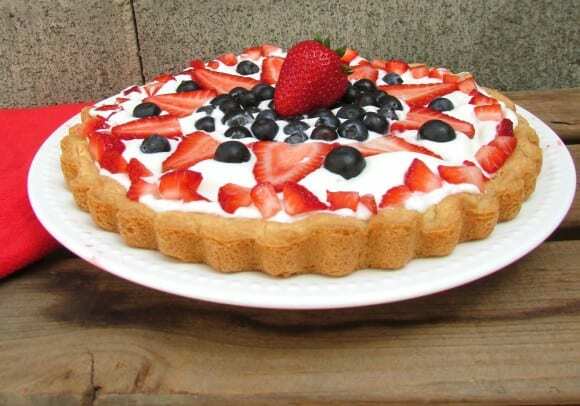 This Red, White, and Blue Fruit Cookie Pizza uses a sugar cookie crust as the perfect base. 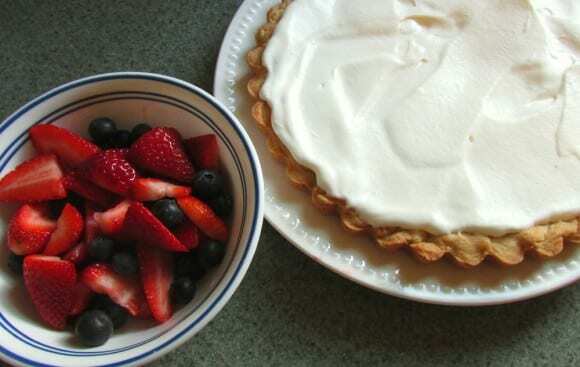 Spread homemade whipped cream over the top and add strawberries and blueberries for a colorful treat. You’re certainly welcome to use other fruit as a topping, but combining strawberries and blueberries with the fresh whipped cream will give you the perfect festive look! 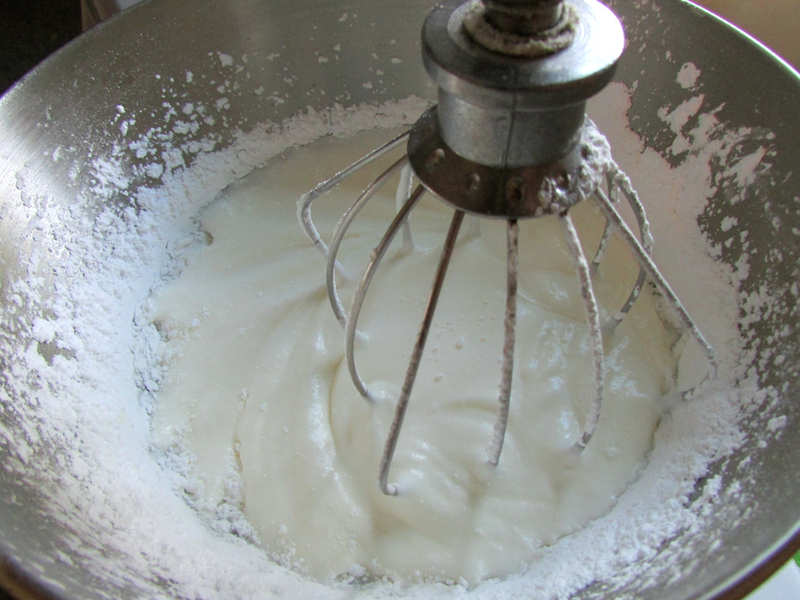 Cream the butter and sugars until light and fluffy. 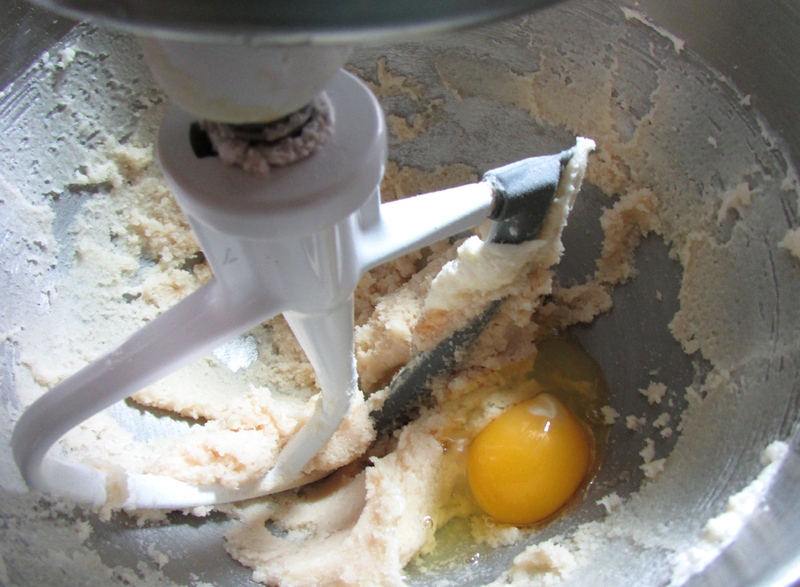 Add the egg and vanilla extract and mix well. Beat in the flour and baking soda until a soft dough forms. Let the dough chill in the fridge for 20 minutes. In the meantime, grease a round cake pan. 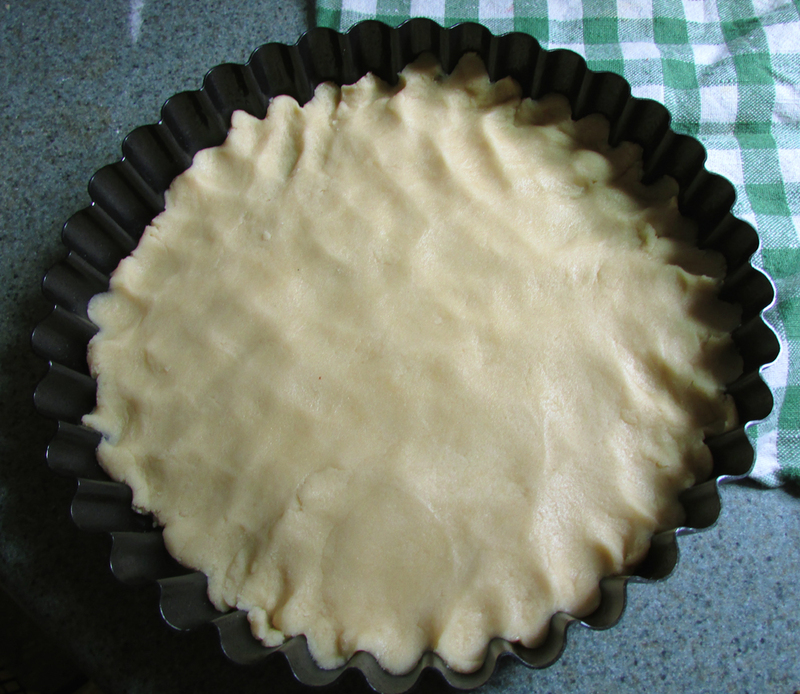 Press a thin layer of dough into the pan. Bake for 15-17 minutes until golden. While the cookie cools, prepare the whipped cream topping. 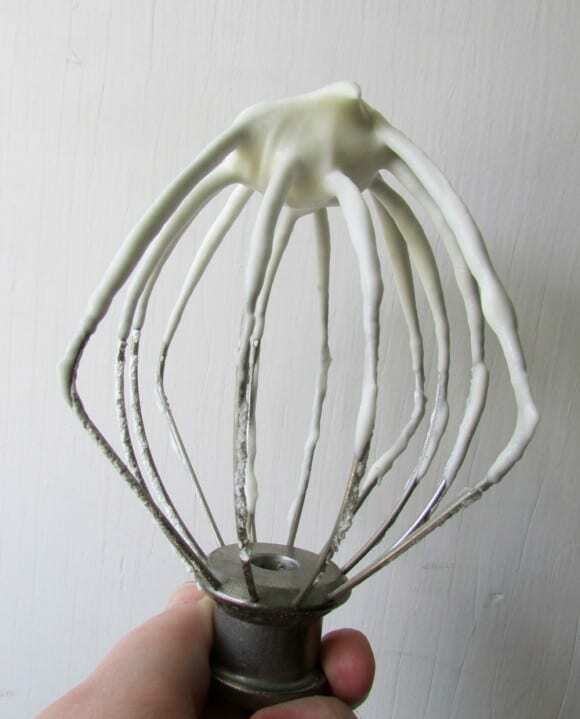 In the bowl of a stand mixer, whip the heavy whipping cream for about ten minutes until it starts to firm. As it thickens, add in the powdered sugar and whip until well combined. Place the prepared Whipped Cream Topping in the freezer to keep cool while you prepare the fruit. 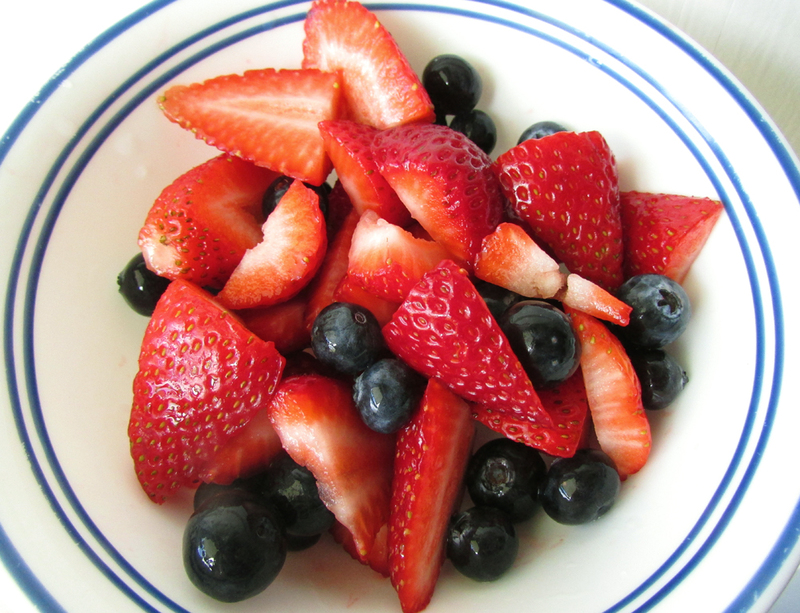 Wash the blueberries and strawberries, and cut the strawberries into triangles. Spread the Whipped Cream Topping over the top of the cookie crust. Arrange fresh strawberries, blueberries, and any other fruit you like on top. What a perfect treat to serve at a July 4th BBQ or anytime throughout the summer!! Thanks, Molly, for all your creativity!! To learn more about Molly check her out at CakeFYI. This looks absolutely tasty! 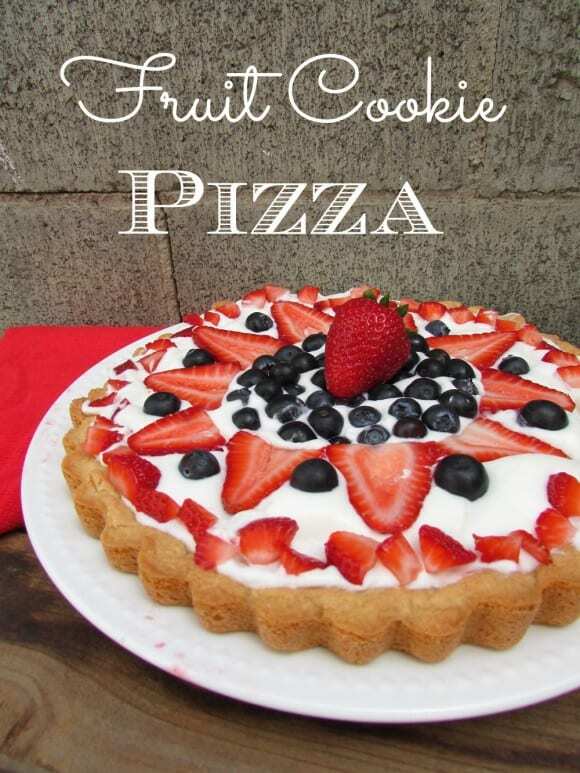 I love pizza and I love berries, but a fruit cookie pizza is more than I could ever ask for. It really is the perfect treat and I can't wait to try and make one. - J.C. I'm so excited to feature this Fruit Cookie Pizza†Molly at†CakeFYI†create for us!! Isn't it gorgeous?! 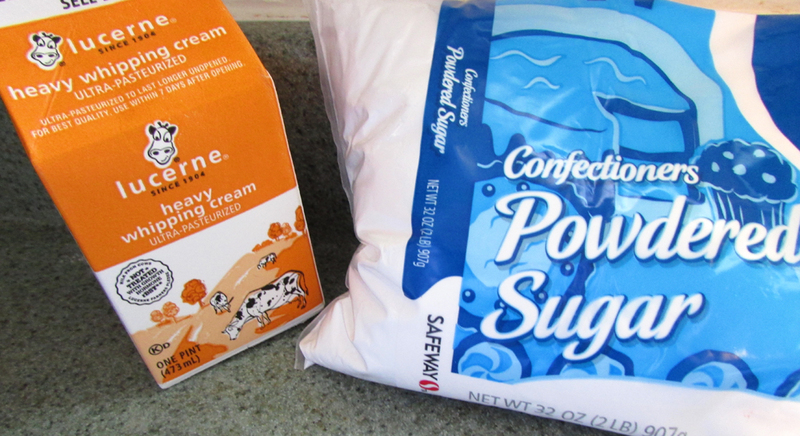 Looking for the perfect summer dessert for your upcoming 4th of July celebrations? Then this is the recipe for you! This Red, White, and Blue Fruit Cookie Pizza uses a sugar cookie crust as the perfect base. 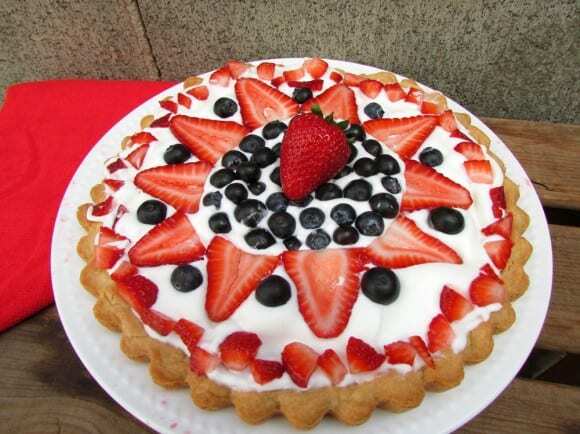 Spread homemade whipped cream over the top and add strawberries and blueberries for a colorful treat. Youíre certainly welcome to use other fruit as a topping, but combining strawberries and blueberries with the fresh whipped cream will give you the perfect festive look!